however, when the anthology appeared without a one. can do for these writers. Japanese Americans; the other for Filipino Americans. With its political legacy omitted, the Philippines is neither idealized nor demonized. America, it becomes another “worldly” place: subtly powerful, vivid, and distant. and the homeland is effective, but amorphous. settling into what they hope will be a comfortable position. to a sad evening of Filipinos, Americans, and Filipino Americans. might want to marry, which Candido recognizes as an obvious immigration ploy. their child, she commits suicide. Is she pretty? Was that the question that woke her up? Then why did he leave? becomes that woman. She. When he holds her now she becomes her, too. 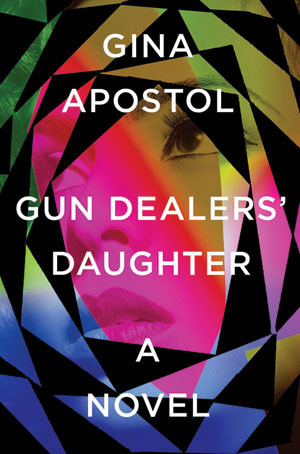 Gina Apostol’s Gun Dealers’ Daughter, a stunning novel of the Marcos-era Philippines, is a story of politics and passion, of insurrection and rebellion, of growing up and the consequences of childhood naïvete. When Soleded Soliman (Sol) leaves home for university in Manila, she finds herself swept up in the Communist fervor on campus. But, as the daughter of prominent gun dealers, she is a part of what is being rebelled against. Then again, perhaps all that matters is her crush on Jed, the ringleader of the pack, and perhaps she is really nothing but a useful fool in the rebellion. A stunning novel of the Marcos-era Philippines, and one girl’s struggles to find her place in the world. The time had come when Virgilio Gonzales just had to tell his story. It could wait no longer. Time had not softened the memories of his youth, when the Japanese occupied the Philippines, his native country, during World War II. The story, as all powerful stories, had to come out into words that would last. And so the now-80-year-old Danbury resident sat down to write. 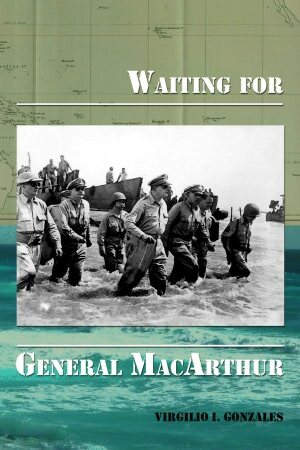 It took four years to complete and publish “Waiting for General MacArthur.” Virgilio can now hold the softcover book in his hands. On Dec. 8, 1941, only 10 hours after Pearl Harbor, the Japanese attacked Manila. Virgilio remembers it was the Feast of the Immaculate Conception and an attack was unexpected. For the 9-year-old boy, it had. From the point of view of a child named Carlos, who, of course, is Virgilio, the scene unfolds in rich detail. “Darkness invaded Manila. Total blackout was enforced for the first time. The children stayed in their room, quiet as mice. They had not recovered from the air raid, they sat down on the floor, their back against the wall. That night his brother, Rey, left his engineering studies at the University of the Philippines to join the military and went off to war with three cans of Libby’s Pork and Beans. Two days later, when the Japanese bombed and obliterated the U.S. naval yard where Virgilio’s father, Arsenio, worked, the family with nine children fled Manila. The story holds tragedy. Virgilio’s father joined the underground and was executed by the Japanese. Virgilio’s future father-in-law, Capt. Sofronio Jimenea, also died in the war. When MacArthur returns and liberation finally occurs, the relief and joy come through the pages. Years later, Virgilio received a chemistry degree from the University of the Philippines and married a fellow chemist, Maria Corazon Jimenea, who everyone calls Baby. They emigrated to the U.S. in 1978. Why they came to Danbury, and what it was like to establish themselves in a new country, would make another interesting story. For now, Virgilio is pleased that his family and others can read his words. “Waiting for General MacArthur” was self-published through Rosedog Books in Pittsburgh and sells for $16. Virgilio will be the first to tell you that the book has typos. He has macular degeneration, which affects his vision. I, for one, am glad he sat down four years ago to finally tell his story. Everyone, actually, has a story inside. In 1941 the Japanese invaded the Philippines with overwhelming force and forced the surrender of American troops at Bataan and Corregidor. Prisoners of war were subjected to brutal captivity and thousands did not survive. This is the story of an American soldier who survived and became a hero. When American troops liberated the Niigata POW camp after the Japanese surrender, Corporal Joseph O. Quintero greeted them with a homemade American flag that had been sewn together in secrecy. The son of Mexican immigrants, Joseph Quintero grew up in a converted railroad caboose in Fort Worth, Texas, and joined the Army to get $21 a month and three meals a day. He manned a machine gun in the defense of Corregidor before his unit was captured by the Japanese. When prisoners of war were transported to Japan, Joseph survived a razor-blade appendectomy on the ”hell ship” voyage. In the prison camp he cared for his fellow prisoners as a medic and came to be known as Don Jose. Joseph’s narrative is an enlisted man’s view of the war with first-hand descriptions of conditions in the POW camps and personal glimpses of what he and his buddies did, endured and talked about. The authors have drawn on other histories and official documents to put his story into perspective and focus on a little-known chapter of World War II. 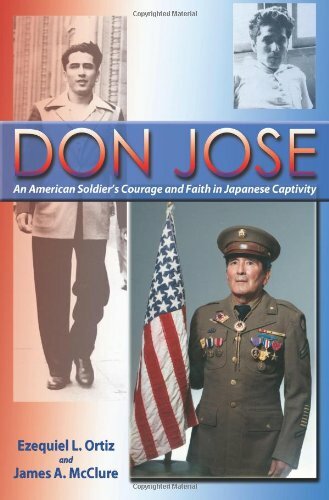 Ortiz and McClure honor an old friend’s wish to be remembered in this stirring biography of Joseph Quintero, US Army private and Japanese POW. They mix a standard biographical narrative with Joseph’s own accounts of his experiences. The result is a highly readable story of a soldier’s struggles to survive under the most horrendous of conditions, with bravery, honor, and compassion. Joseph Quintero possessed the ability to love and serve others, traits handed down to him by his deeply religious and affectionate mother, Lorenza. A first generation American born to Mexican immigrants in Texas, young Joseph helped his father support his family of nine children by going to work at age thirteen. As these were the depression years, his variety of jobs at Saint Joseph’s Hospital, Fort Worth, including ambulance assistant, paid little. Joseph therefore decided to enlist in the Army along with some friends. Because he was undersize, the recruiters rejected him. Joseph’s friends told them either he went or they’d walk out. Joseph was allowed to enlist. Throughout Joseph’s wartime experiences, his attention to his fellow soldiers’ needs and sufferings led them to warmly reciprocate. He utilized the basic medic skills he’d learned in Fort Worth during the Japanese siege of Corregidor. Afterwards, from prison camp to prison camp: Bilibid and Cabanatuan in the Philippines, then at the infamous Niigata Labor Camp in Japan, where he remained until the end of the war. Along the way, Joseph underwent an appendectomy in the cramped hold of the POW transport, Taga Maru, in semi-darkness with Major Keggie operating with a razor. The surgeon attempted the impossible because of his high regard for Joseph. Perhaps the Almighty, hearing Joseph’s repeated prayer, “I believe in God. I believe I will live,” and knowing his passion for helping other, assisted. The Taga Maru passage showcases Ortiz and McClure’s talent for using Joseph’s words together with excerpts from other published accounts of the affair, both at the time and later. The authors repeatedly corroborate their story with such inclusions. Indeed, three of their four appendices provide meticulous details of the 60th Coast Artillery, Joseph’s unit, at Corregidor. Such touches help further round out his story. Joseph’s story is recommended reading for anyone who wishes to pay honor, like the authors, to a vanishing generation of soldiers. If you wondered, while watching the animated film “Finding Nemo,” what a bahay kubo was doing in the fish tank, the answer is simple. Filipinos played a crucial role in the creation of the film. 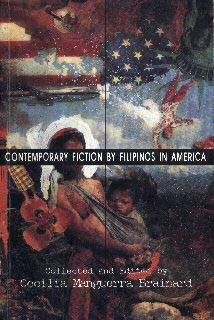 That tidbit on Filipinos who work in U.S. animated film studios is just one of many that readers will discover in My Filipino Collection: The Philippines in Hollywood by Ruben Nepales. The book, published by Anvil, gathers Nepales’ pieces in “Only in Hollywood,” his popular entertainment column in the Philippine Daily Inquirer. 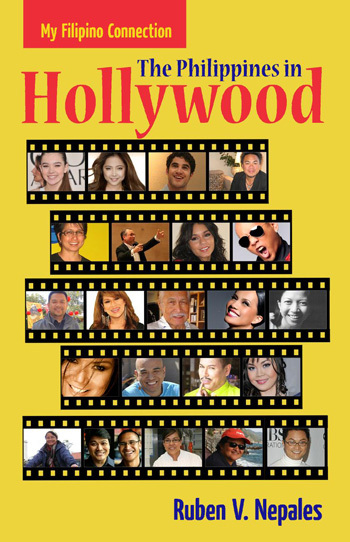 Nepales, based in Los Angeles, has taken it upon himself to be the go-to reporter for Hollywood’s Filipino newsmakers—from actors and actresses to singers to film professionals—and, true enough, over the years his column has provided his readers with a Hollywood insider’s perspective with a focus on, and from the angle of, the Pinoy. This, along with Nepales’ fine journalism skills, makes The Philippines in Hollywood a source of solid reportage that Filipino readers, whether in the Philippines, the U.S. or other parts of the world, will not find anywhere else. There are many stars in the book. Readers perhaps will be drawn first to the interviews with well-known names such as “Sucker Punch” star Vanessa Hudgens, singing sensation Charice, and “True Grit” star Hailee Steinfeld, who all have a connection to the Philippines. (Hudgens’ mom, Gina Guangco, was born and raised in the Philippines, while Steinfeld’s mother is descended from a Filipino from Bohol). But other pieces stand out for their subjects’ candor, intelligence and wit. A good example is Nepales’ interview with actor Bernardo Bernardo, who when he was based in Manila was known for his compelling performances in dramatic and comedic roles in film and on TV. Philippine readers will perhaps best remember him as Dolphy’s nemesis in the hit sitcom “Home Along Da Riles.” These days, Bernardo makes a living as marketing director for a medical transport company in L.A., although he still wears his actor’s hat from time to time. Nepales asks him if he has any regrets after giving up his career in the Philippines and starting over in the U.S.
Another piece that would leave an impression on readers is Nepales’ interview with Darren Criss, the Filipino-American actor-singer who starred in “Glee.” Born to a Cebuana mom and an Irish-American father, Criss comes off as a bright and articulate speaker as Nepales talks to him about his artistic training and many projects. These interviews also point out Nepales’ strength as a journalist. He asks the questions and provides the prompts, but otherwise his subjects do the talking, thus providing countless insights into their professional lives. That’s the greatest pleasure this reader finds in The Philippines in Hollywood. Nepales’ subjects include both Filipinos who were born in the Philippines and moved to the U.S., either when they were very young or as adults, as well as those who were born in the U.S. They include actors and actresses, singers and musicians and also feature DC Comics illustrator Tony DeZuniga (whose interview with Nepales was one of his last; DeZuniga died in May 2012), a visual effects producer, production supervisor, an Oscar-nominated cinematographer, and artists who work for Hollywood’s animated film studios. The last includes a group that’s taken to calling themselves “Pixnoys”—short for “Pinoys who work for Pixar Animation Studios.” One of them, Nelson Bohol, who was a set designer for the film “Finding Nemo,” is to be credited for putting a bahay kubo in Nemo’s fish tank. 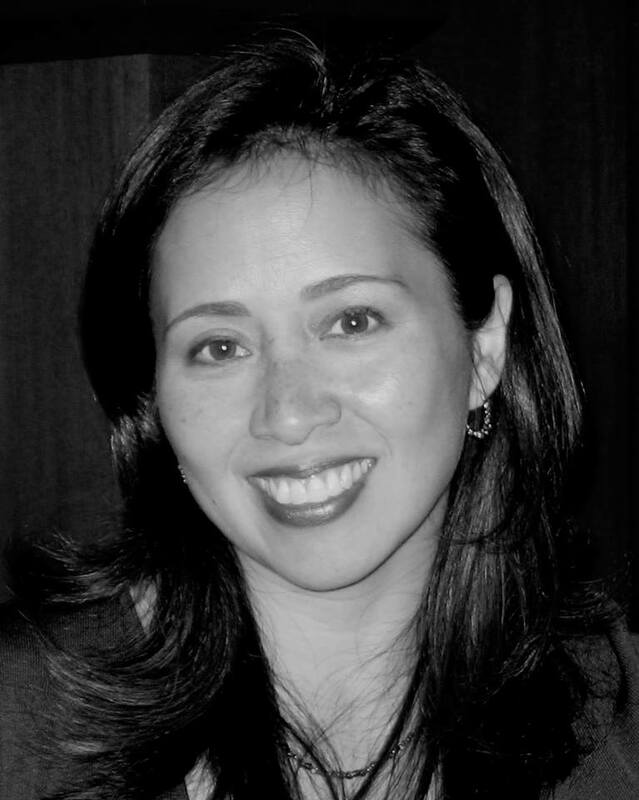 Also featured in The Philippines in Hollywood are Luisa Mendez-Marshall, a Tina Turner tribute artist based in Canada; YouTube sensation Mikey Bustos, whose Filipino “tutorial” videos have become a hit; and Cristeta Pasia Comerford, executive chef of the White House, who was born and bred in Sampaloc, Manila. All have interesting stories to tell, and they do—thanks not only to Nepales the insider, but also to Nepales the dedicated and skillful journalist. The world of Filipino Americans is a rich, vibrant and diverse one, and good reporting that does justice to it is not always easy to come by. But when it comes to the field of entertainment, asThe Philippines in Hollywood proves, Filipinos have their man. Lorenzo Paran III writes about the Filipino-American life on his blog, http://pinoyinamerica.blogspot.com. While the scope and horror of war can never be fully realized, personal life stories encourage one to learn history surrounding these events. The author’s mother and grandfather, Gloria Haube Vance and William Haube, were caught up in the Japanese invasion of the Philippines during World War II. On the evening of Gloria’s engagement party, December 7, 1941, her life changed direction and she was plunged into survival mode. Reinforcements for the Philippines were diverted to protect Hawaii after the Pearl Harbor attack, leaving the Philippines to the Japanese. Gloria’s fiancé was captured, endured the Bataan death march — only to die on a Japanese ship bombed by American planes. Gloria’s story is augmented by the diary of her father, who managed a mine taken over by the Japanese. The photographs bring authenticity to the straightforward narration. Even though there are hundreds of books about this period of the bloody battle for the Philippines, this compelling story could have been helped along by greater historical context, better maps and reference to the ongoing battles. 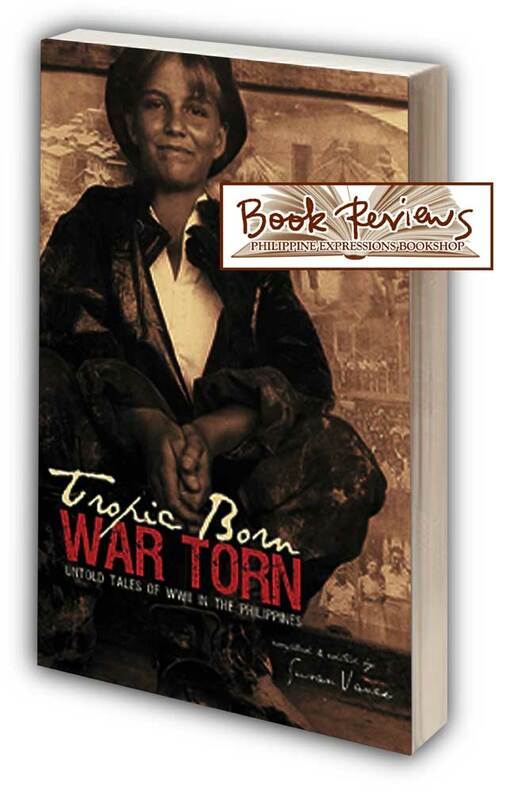 Since 1521, the Philippines have been colonized and battered by wars. The heroes of the book are the two natives who hide, shelter, and feed the Haube family. The natives and Japanese are referred to by pejoratives commonly used at that time. This book will ultimately lead the reader to an interest in this fascinating part of the world and the rollercoaster ride of war, subjugation, and liberation, along with the nightmares caused by war.